Like many of you, I find the beginning of the new year to be a good time for taking stock. And as it has been cold and dark and perfect for nesting, for sitting in front of the fire with a good book or a knitting project, that "taking stock" has included looking around my nest and seeing if it's as cozy and welcoming as it could be. While I wish I had full-time staff to clean my house (hey, we can dream, right? ), I've always loved organizing and decluttering. Lately, I've been taking it to a whole new level. Finally, after years of needing to spend money on a new furnace, a new roof, a new driveway, etc., I'm going to get my wish of replacing some furniture. You know, the fun stuff. Now, please believe me, I'm not complaining. I feel very grateful for what I have. But, except for two couches and two chairs, our bedroom set and the mattresses, everything in our house is garage sale or heirlooms (read hand-me-downs). And the furniture we did buy new is at least 25 to 35 years old. The garage sale/"heirloom" furniture has been re-glued and mended and painted several times over, and I am so ready to say goodbye to it. 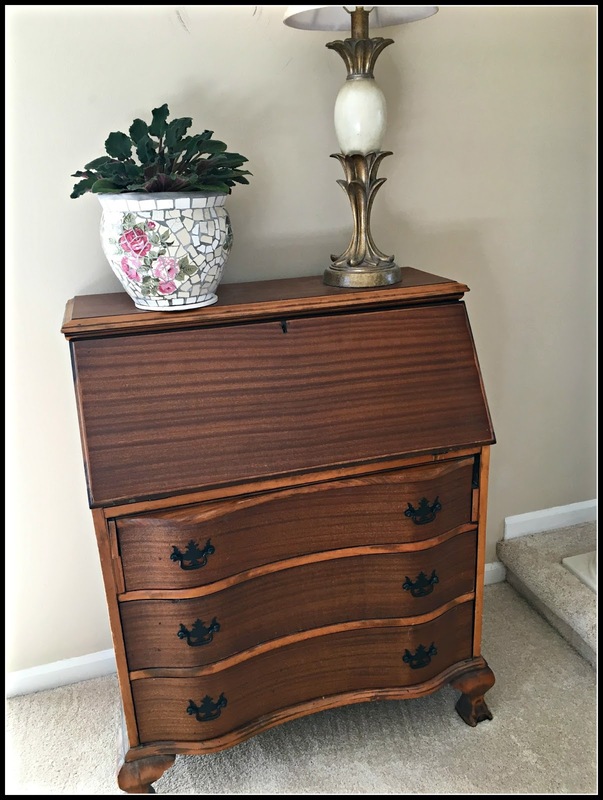 Suddenly, antique and vintage have become synonymous with wobbly, falling apart, and just plain old. 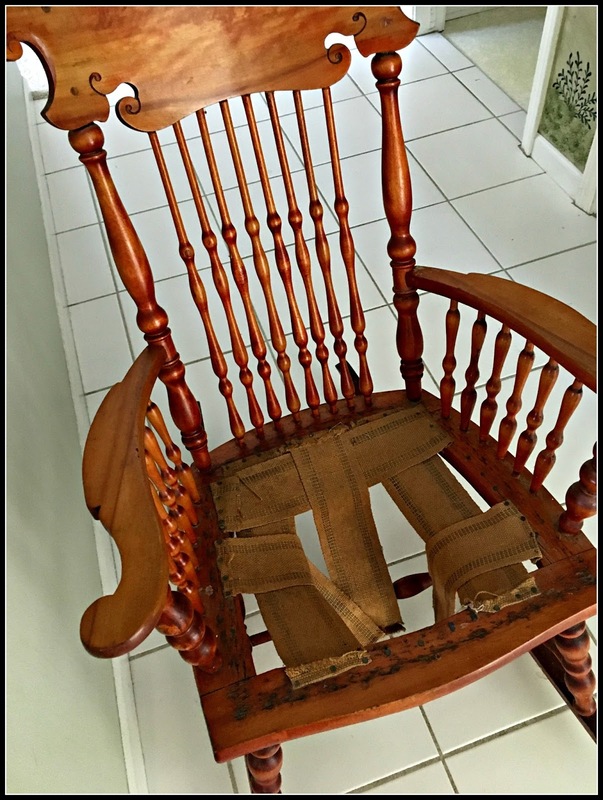 This rocking chair never did get repaired or painted. It's been sitting in the basement, the object of 20 years' worth of good intentions. Time to let somebody else take care of it. As much as I'd like to think I could repair this desk and refinish it, this, too, has been sitting, unused, for more than 10 years. Bite the bullet, and pass it on. My parents spent $10 for it almost 60 years ago. These all found good homes. The couch, which is still in good condition, looks better in a friend's home than it ever did in mine. I still have about 12 boxes of old homeschooling papers and old family photos I'm determined to get through. And a basement full of gear we probably won't ever use again -- cross country skis, bowling balls, camping gear, hockey equipment, etc., etc. Also, three huge piles of stuff, one for each kid who doesn't have room in their apartments for all of it. Hey, wait, one of my children has a house. I need to talk to her! I've also been decluttering my email inbox. I've reduced it from 584 emails to 0! Okay, the zero only lasted a few minutes, but I've been zealously keeping my email inbox down to 5 or less, which is unheard of in all the years I've been on a computer. It's usually always hovering above the 300 mark, even with daily deleting. I unsubscribe from everything I can, and mark lots as spam, but I still get some ads. Those are easy to delete. I put all my receipts in a separate folder (and just deleted anything older than a year). The majority of the emails sitting in my inbox are from blog friends, and they're so sweet I hate to delete them. But the ones that come in as blog comments are stored on my blog. Any special correspondence I put in a correspondence folder. I'm going to try and respond to people ASAP, and then delete. It takes a little hardening of the heart. This is the hardest part of decluttering, and what I've been dealing with, with all the vintage furniture and the photographs and 1st grade spelling lists and friendly emails. The guilt of letting go of sentimental items. But I've found that it's the decision to do it that's the hardest. Just like deciding to get on the treadmill. Once I decide, it's relatively easy. Once I decide it's okay to let go of a handmade or sentimental item it really is a breath of relief. It really is amazing how things can get to be like albatrosses around your neck without even realizing it. I have pictures and I have memories. I don't need to keep every. single. item. anyone has made/given/handed down to me. Yes, of course, there are many things I will keep, but I don't need to keep everything. What a weight off my shoulders to see things going out the door! And every time I go through this process I think, I'm never buying anything again. Or bringing home another sheet of paper. For example, I've stopped bringing home the little memorial pamphlet things from funerals. What do you do with them? They sit there, and then you feel guilty for throwing them away. Those pamphlets don't really add to the memories you have of a person. So I've stopped bringing them home. I stand at the recycling bin and sort my mail before I even bring it in the door. But still, the papers pile up. And cards and thank you notes. Those are so hard for me to throw out. Some I keep, some I throw out, no real method to that, but I can't keep everything. Again, it's hard to throw out a sweet note from a friend. What do you all do?? Right now we are painting. Tomorrow some of the furniture arrives. I am trying to replace with less. For example, I've gotten rid of 15 chairs total, and only getting 8 new ones. It will be so nice to sit on chairs that aren't wobbly or in danger of collapsing under the weight of an unsuspecting guest. I'm going for what I call rustic glam. Unfinished looking wood and wrought iron combined with faux fur and some bling. Taupes, grays, cream with touches of blush. Lots of candles and pillows. Soft, comfortable, relaxed with a little glamour. 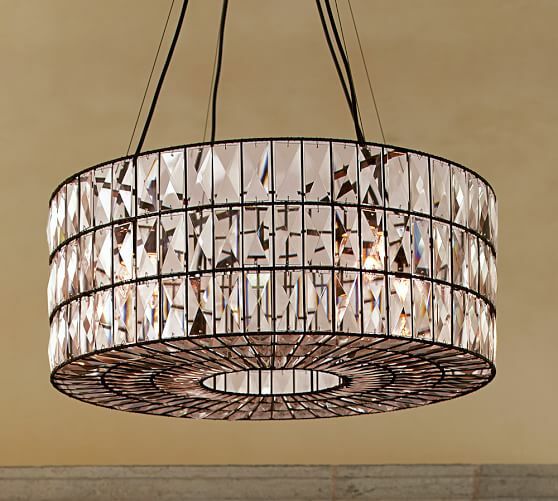 Here's a peek at the new chandelier that will be going over the new dining table. It will be a whole new look. It's really been a little emotional, letting go of the old, ushering in some new, thinking about who I've been and who I am now. I'll keep you posted on the process. That's a true clearing-out! Good for you. I find that when I do get rid of stuff, I feel SO much better, freer. (That words looks strange.) I'm very impressed. And your children will be so happy, when you are quite old and dying, that they won't have to go through everything and do it all then! Its hard letting go but when we moved to our little cottage we down sized considerably so needs must, The Grandchildren's artwork was the hardest but you will find a way that suits you in the end. The way I figure it is I am blessed with lots of memories. How exciting! I'm proud of all that progress you've made, it's inspiration actually. I love that chandelier! Can't wait to see how it all looks when you've finished it. When we moved the first time in 2016 I went through all my sentimental collection and gave each of our children everything about them--even the childhood notes that were so precious to me, figuring that they were less likely to get thrown out when I'm gone if each child had their own. However, I still have a big box full of all my mother's letters to me AND her mother's letters to her. They probably will get thrown out someday but not on my watch! Family photos from myriad picture frames and scrapbooks got distributed too except for a smaller box that I thought I might someday curate and upload to one of those digital picture thingies. It may never get done. I'm so happy for your happiness in looking forward to a new look in your house! Oh, good for you! I have done a lot of cleaning out and decluttering too but still have some things that I find hard to part with even though my kids definitely do not want them. Things like my Dad and Mom's love letters that they wrote while my Daddy was in the Navy. The letters my Mom and I wrote long before email. Goodness, just hard to throw them out. Can't wait to see your new furniture! You are a decluttering MACHINE! Good for you, Deborah! I can't wait to see the new furniture! While I tend to have minimalist tendencies, I'm a digital hoarder. My inbox is a disaster and I don't know why I keep multiple photos of the exact same shot. While I have no problems disposing of food that I don't like or have expired, I struggle to get rid of teas that may not be favourites. 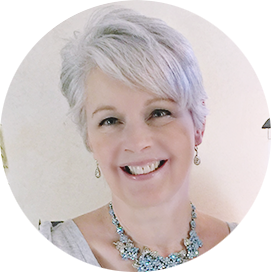 You are knocking decluttering out of the park! I keep some sentimental things - letters from my grandmothers, and such. I have one manila envelope for each child filled with their school work. The rest of it I trashed. I have a hard time deleting comments from bloggers even though I know they are stored on my blog. Time to harden my heart! Looking forward to seeing what your new look will be! Decluttering, letting go of, making space, can be hard, but it is also exhilarating. I'm doing some of my own and your post is an inspiration. Good job for cleaning out, it can be hard and yet refreshing at the same time. As for your notes and such - scan them or take a picture of them. You'll preserve them forever and they don't have to take up the space. Wow! How liberating, Deborah! I am a little jealous. I'm over here like, "hey, I just cleaned up No-Dec 2017 and Jan-Feb 2018 out of my inbox". I know the hours you've already invested in your project. I hope to tackle some purging after taxes are ready to be filed, and working on some inventory. As for the big stuff, I was able to eliminate just a few things for a daughter who recently bought a house.....much more to go. You are an inspiration, for sure! Good for you, Deborah! You are on a roll. The desk you showed is one that my parents had, and then I got it, and now my daughter has it! I'm looking forward to seeing all your fun purchases for your home. Scan the cards, notes and memorial/funeral papers. Take photos of other items. Choose 1 or at the most 2 memory items for each person/significant event. Just my thoughts. OMG ..Good for you ..It is definately a tough job culling out old memorabilia and furniture. You’ve inspired me as downsizing is something I keep procrastinating about... Now, maybe I can keep re-read your post to urge me on...Thanks for sharing ... Forward ho !!! IT sounds like you are doing a great job! We are beginning. 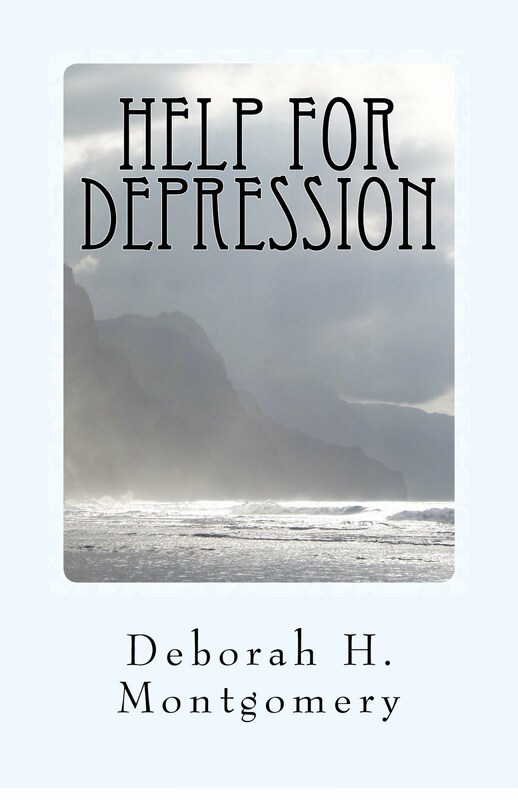 It will be easier, I hope, once my husband retires and can work on his files and endless books. I've taken photos of some cards or letters I want to hand on to. But then what to do with all the photos on the computer? That's one area I'm decluttering right now. It feels as heavy a weight as the house clutter. Good for you to clean off all those emails. Look forward to seeing your new look! It will feel so good to have change and a freshness in your house I think. Deborah, that is wonderful! You're going to feel like you're floating, out from under all that stuff. I have a few things I say to myself when I'm having a hard time parting with something sentimental: I'm not giving away my aunt, I'm giving away this object that she once owned. The memories of my dad are in my head and heart, not in this object. That sort of thing. Seems to help! I really love that new chandelier. Sometimes one new object can spark an entire renovation//way of looking at things. It's never easy to let go, but so rewarding when we decide what is worth hanging on to and what is just clutter. I still have two big boxes of things from Mme Mère's room at St. Mary's to go through. They are the last remnants of a wonderful life that I have not been able to go through. It's my 2018 New Year's resolution. Hopefully I will have the courage to go through them very soon. Congratulations on your very exciting decluttering process! Oh I can relate so very well to the struggles you are having. We downsized to a 780 sq ft home two years ago, from a 5 bedroom home with a basement. It was unbelievable the amount of stuff that home held. The decluttering then was immense, because I had nowhere to put it. There have been a few things that I've missed since downsizing, but overall it has been a huge weight lifted from me. We live quite simply and anything that we are not using or won't be using within the next year gets donated. I usually make a weekly trip actually to the thrift store in town. The paper. Yes. Such an issue. I have not conquered that one yet. I read through all the comments to see what your readers had to say. I still struggle with paper because I am a scrapbooker, and tend to keep memorabilia to scrapbook. Well, I know I can't keep everything, and you learn to disassociate yourself from the memory and the item, and let it go. For things really important they could be photographed and stored in a memorabilia folder on a external hard drive. Good luck with all your purging, it is a journey that releases weights from your life, indeed. Hugs to you today! Congratulations! Last spring I was diagnosed with breast cancer. One of my early thoughts was that if I died, my house was full of clutter. I had to get through it. As I've been able to, I've been going through it. The things we thought we would fix but never did is a big pile. So is the pile of books and stuff we accumulated through homeschooling. There's so much emotion involved in much of it for me. Things we thought we would do and didn't or things we did and I wish we could do again are two things I've struggled with. Well, on to happier things. Although I still have months of treatment remaining, I have been declared to be in remission. Thank you God. I will continue to declutter as I'm able. It helps to give things to homeschooling families at my co-op by bringing a box of free giveaway things for them to look through each week that I can. God bless you! Please come and visit me at Harvest Lane Cottage. Well, I agree wholeheartedly with you that it feels really like a breath of relief. First thing I did none winter, scanning all old slides and getting thus rid of numerous boxes with slides. It was quite a task and I did it mainly for Pieter's adopted daughter. Doubting even if she really appreciated all the work and the memories. She is his ex's first cousin's daughter, so to here it is a family treasure too! When I accomplished that I started with scanning photo albums and I've done some 34 I guess. That was like winning gold in the olympics. All that empty space on the shelves! Wow, having everything digital and organized in files by year or subject is grand. Now I only have about 6 scrapbooks with valuable things that need to get scanned and saved but I'm getting there one day. I just was contemplating to DO it, one album a day and get over with it. But I have other commitments the last 2 years as I've joined this choir and we have to practice for our upcoming performance singing the National Anthem, than singing again the National Anthem at the Rotary Club's joint Civic Club luncheon with also the beautiful song: O America recorded by Celtic Woman. So patriotic and so moving. We next have to perform at the Revue in May and also learn certain movements with our songs. All by heart and adding the steps and hand movements so that takes a lot of practice and time for an 'aging' mind. Joking but if you are serious, yes it takes time. Oh, yesterday I managed to clean my home and also did lots of laundry. Back in The Netherlands with m y fulltime job, I did have help for cleaning. Would LOVE to have that again but like you, I have to manage it myself. My philosophy is such that what if you get in an accident and don't survive. Do you want anyone to rummage through ALL your things! Hell no, so get rid of it now. I've old letters and need to go through them and scan those that are meaningful but I will trash it all. Doing the happy dance once that is accomplished! But I feel very proud for what i've accomplished. I've nudged Pieter last year to get rid of all his filming and photography things. Sell that slide projector and big screen and 8mm movie projector. Boy that created some space; great feeling. Making photos and listing it on eBay and gone. The older we get. the more practical we have te become and oh, I wish we could stop that paper war that enters the home by mail!!! I must say that my MacBook is working great on sending most of the emails to the junk and I appreciate that. When once in a while one escapes I label it 'junk' so that sender will never ever appear in my inbox. Good riddance and yes, we must defend ourselves against that massive junk and forced paper war. In our Church there are some needy families and things at our household never actually got trashed but always passed on to others. If we all would do that, the world would become simpler and more loving. Good luck with your painting and enjoy the new look, your next chapter in life - empty nest but DIFFERENT! This is a very hard task to do for all of us I think and it sounds like you are doing a great job with it all. I can't wait to see all of your redecorating of your house. I am going through the same thing as you and decluttering each room in our house. When you are in a house for over 20 years it can easily get cluttered up. I too have a hard time with throwing out papers, letters, cards and so on.